L'Oreal Men's Expert Volcano Red Foam: A Face Wash That Removes Camo Cream! L'Oreal Men's Expert is the top men's brand in the market, and they have launched a new product to clean the gunk of all the manly faces out there! The new product, Volcano Red Foam, is a cleanser targeting oily and acne-prone skin, and is meant to purge your pores as well as fight and prevent pimples. The featured ingredients in the product are salicylic acid, which is a good pore un-blocker and anti-acne ingredient, as well as volcanic mineral extract. There is also peppermint extract, to give a cool menthol feeling when you use the product. I personally could do without the menthol (I dislike the tingle), but I imagine that guys with thicker skins would probably like using it. I also really like the inclusion of salicylic acid, which has good scientific literature behind it. I do use a 2% salicylic face wash a couple of times a week myself to help unclog my pores. 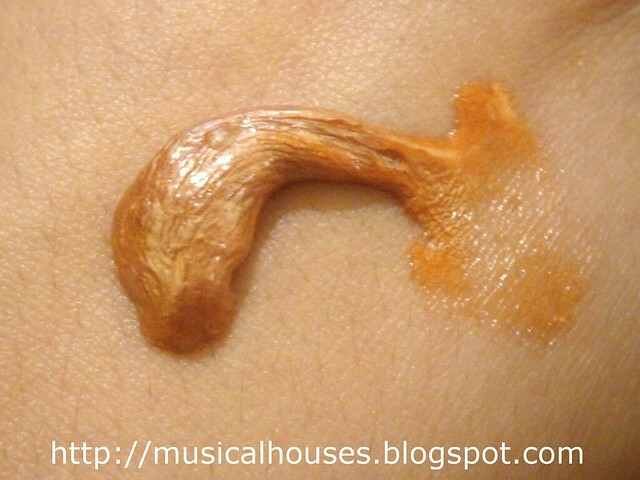 I let it sit on my skin for a minute or so in order to get maximum effect. The red foam in L'Oreal Volcano Red Foam. We were told that before L'Oreal launched this product, they tested it on 240 men, and all of them felt that their skin really improved from it. Sounds good, right? The product is also very easy to use. It has a scent that is pleasant and a little cologne-like (apparently L'Oreal also had to work on the scent of the product to make sure it was suitable to the guys' noses, too!). As the product name suggests, the product comes out in a red foam. Well, it doesn't come out in a foam straightaway, but it does come out red. With some lathering, you get a nice bit of white foam that stays quite solid and isn't too drippy, and that cleans effectively, removing dirt and oil without an overly squeaky-clean feel. Torturing the poor volunteer by applying camo cream on his face. The Men's Expert Volcano Red Foam was then used to remove the camo cream. I was kind of skeptical, but it did work. 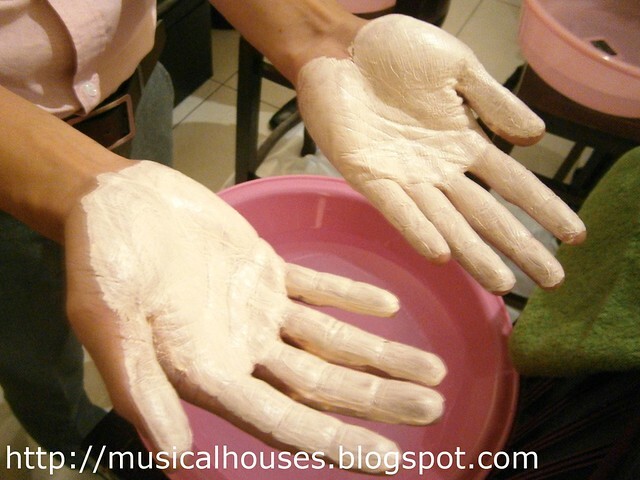 All you do is take a bit of the product in your palm, and than lather it up by rubbing your hands together. As you can see from the photo below, you do get a good amount of foam. Lathering gives you a good amount of foam for cleansing your face. Aaand, the washing! Unfortunately while his face got clean, his shirt was not as lucky. Some of the camo cream dripped onto his shirt, and the shirt got stained. Oops! Also note in the background of the photo the other volunteers who also had their faces mercilessly smeared with camo cream, so that they could wash it off with the Volcano Red Foam later. All the camo cream is all off, after washing with the Men's Expert Volcano Red Foam! The Volcano Red Foam is already out in stores, but because I'm kind of obsessive about beauty products, I couldn't help but take a snap of one of the new products that will also be coming to our stores, which is the Hydra Energetic Quench Max. 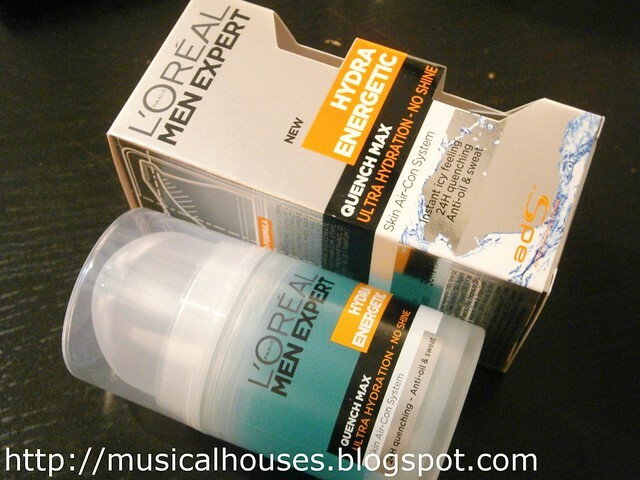 This is another product under L'Oreal's Men's Expert range, and is a which is a gel moisturizer that hydrates your skin without feeling oily. It's particularly useful if you use a harsh cleanser, and feel the need to put some of the moisture back into your skin. If you're looking for a quick cleanser that really removes the oil and gunk from your face, then this is a good one to try - if it can remove camo cream from your face, it should work for those with oily skins. And the salicylic acid is a great ingredient for acne-prone skin too. At $10.90, the Volcano Red Foam is a pretty good steal. The Hydra Energetic Quench Max moisturizer will be launching around now (if it hasn't already been launched), and will cost $23.90. 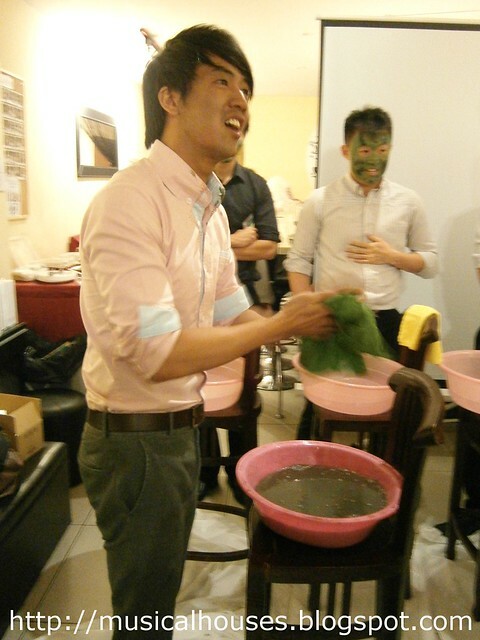 Have you seen the special camo makeup especially for Korean men conscripted in the military? Apparently these products have not so harmful ingredients in them than the originals (and some men wear BB creams while on duty too!). I guess maybe L'Oreal had this in mind....? @Porcelaine: Just like Korea, Singapore also implements a system of compulsory army service for our male Singapore citizens, too! Those guys also use camo cream during their 2-year stint, too. I've no idea if its the same as Korea's, but apparently the formulation has improved over the years and is now kinder to skin. However, since its meant to be sweat-proof (guys sweat a lot going through army training) and water-resistant, it's very tough to get off! I think this demonstration was supposed to show the cleaning power of the product, the idea being that if it removes your camp cream, then for sure it will remove the gunk in your skin. It happens to be particularly relevant for both Singapore and Korea since our guys would be familiar with camo cream and how tough it is to remove! It looks like they have proof that it does remove oil from the faces. But does it really work for acne part? I heard a lot of reviews stating the point only towards the removing gunks/oil on the face. But what about acne and pimples,does it work on men with a moderate case of pimples too? @Anonymous: Yes, it will probably help. The salicylic acid in the product helps to reduce redness and swelling of pimples and also helps to unblock clogged pores. If you have a mild or moderate case, salicylic acid can be helpful if it is in an appropriate concentration in the product. After several years of using product for my oily skin, i just realized "anti acne" was way better than "anti oil". After using "anti acne" for a whole year, now there's no pimples anymore. The difference between both are "anti oil" facial wash makes your face moisturized, and "anti acne" facial wash makes your skin dry. Vanity Trove July: The Best Beauty Box Yet!